They are yellow, they are crazy, and they talk in a way you cannot comprehend! I am taking about MINIONS!! The new movie is making it’s way to theaters soon and in celebration, we are busting out some fun ideas you can make with your own family. 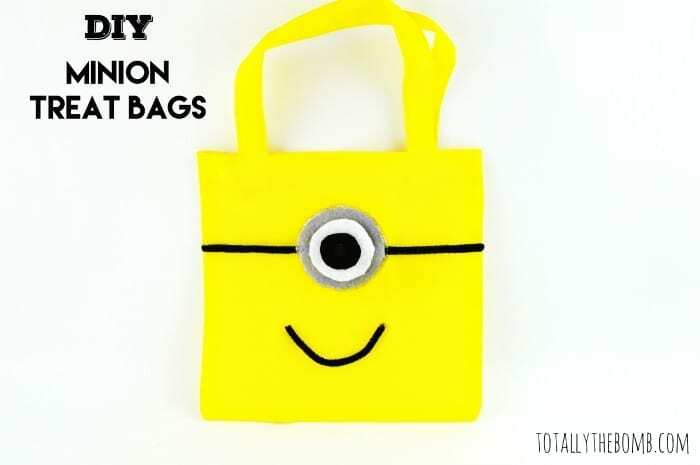 The first are these DIY Minion Treat Bags! The best part is, most of the supplies needed can be found right at your local dollar store so it’s very inexpensive as well! 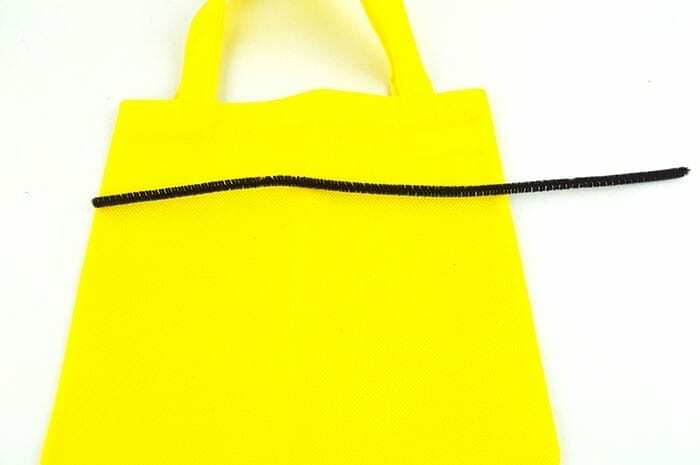 Take a black pipe cleaner and place it across the front of your canvas bag. You want to have it fit perfectly side to side and clip off the excess. 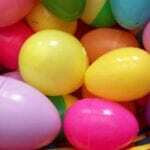 Do not throw the excess pipe cleaner away as we will be using it later. Hot glue the pipe cleaner onto your canvas. 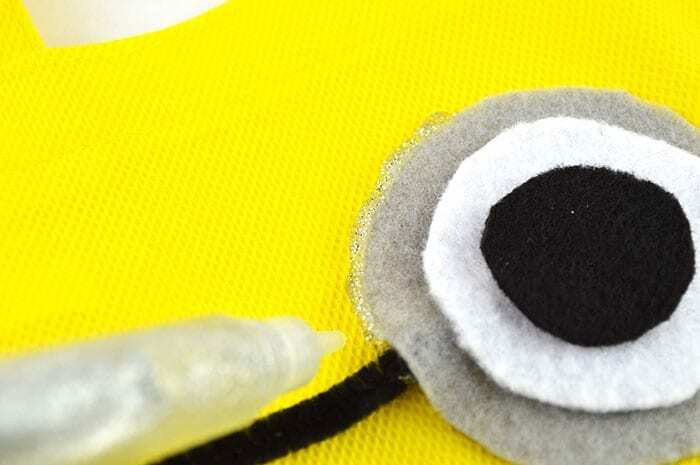 Trace a circle onto your gray felt. I used the bottom of a plastic cup. Then cut this circle out. 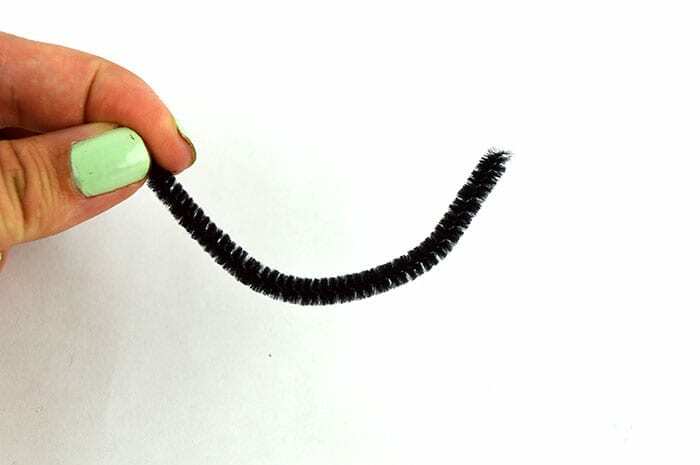 Glue the circle onto the middle of your pipe cleaner. 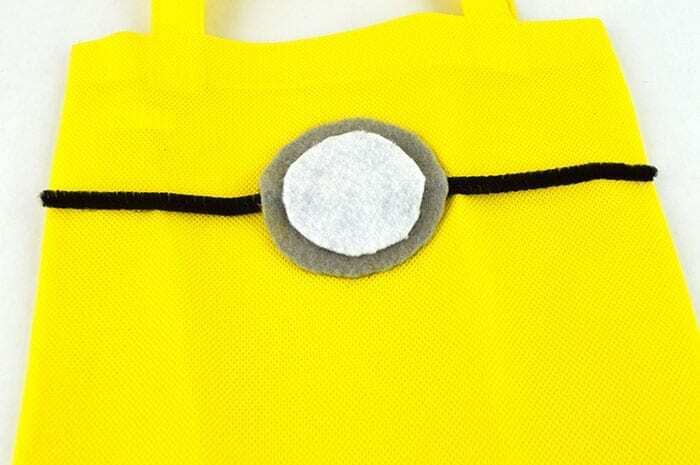 This serves as the minion goggle. 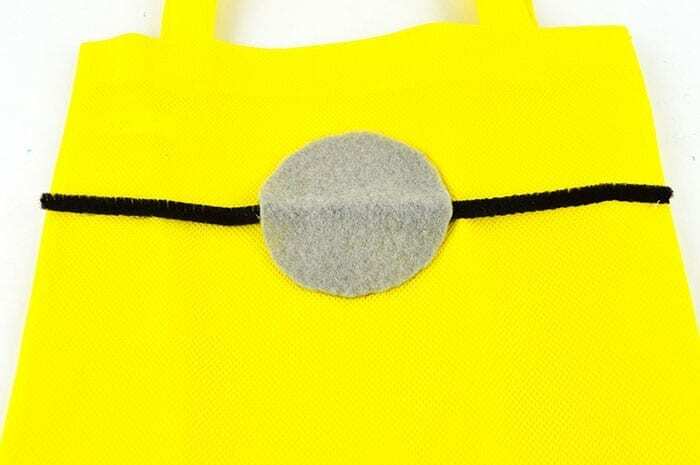 Trace a circle onto your white felt. This circle needs to be smaller than the gray one. I used a Powerade bottle cap. Cut it out. Glue the white circle on top of your gray circle. This serves as part of the eye. 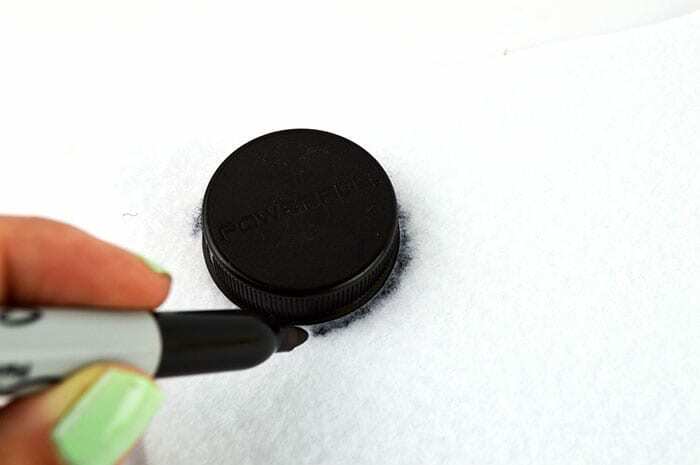 Trace a circle onto your black felt (the best you can). Again this needs to be smaller than your white circle. I used a water bottle cap to make this one. Cut it out. Glue the black circle on top of your white circle. 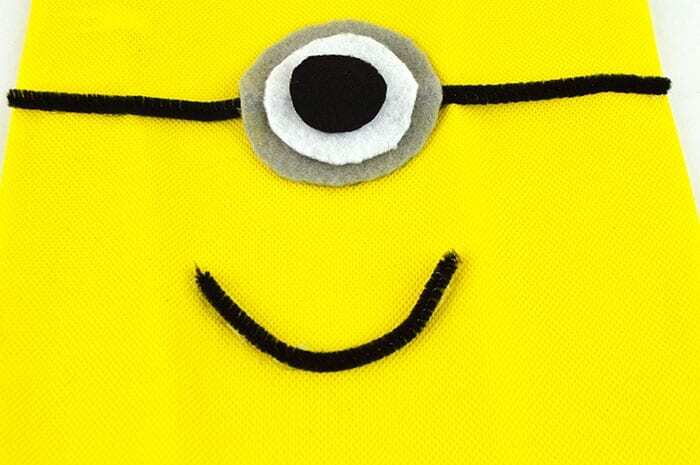 Grab your leftover pipe cleaner from step 1 and bend it into the shape of a smile. 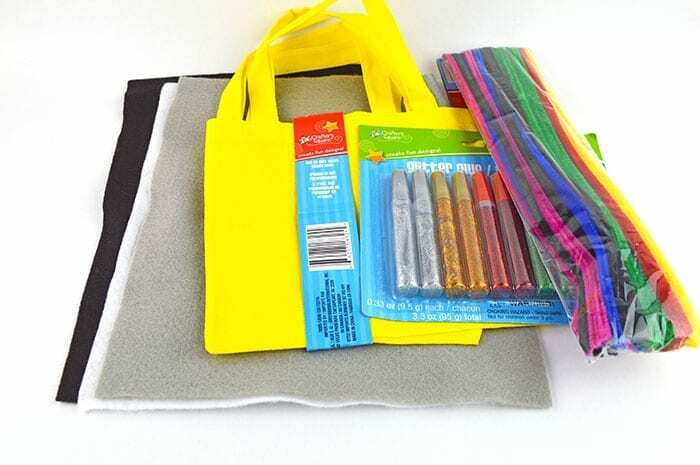 Hot glue the “smile” onto your canvas bag. 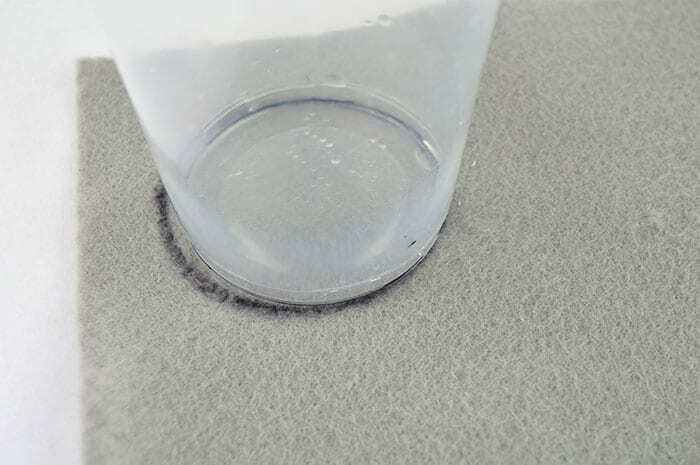 Take your silver glitter glue and trace around the outer edge of your gray circle. 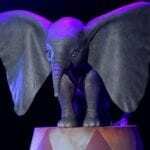 This is optional but it does add a bit of sparkle! 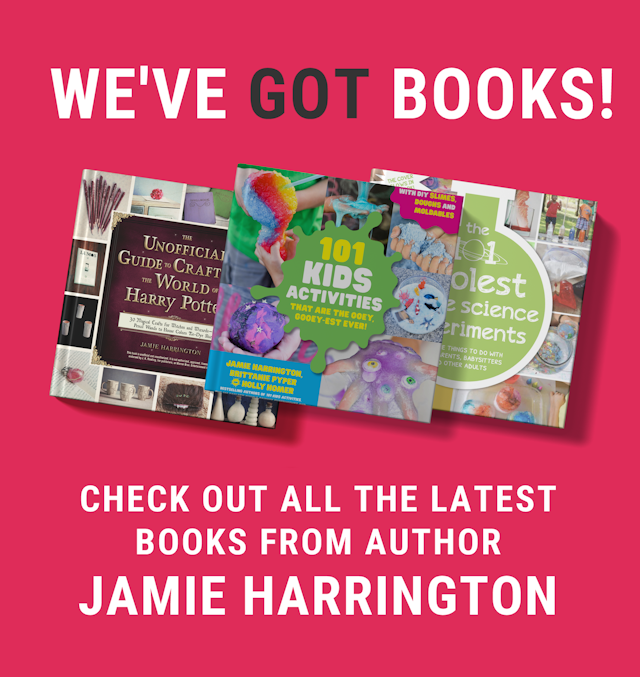 Allow everything to dry before giving to your child to play with! 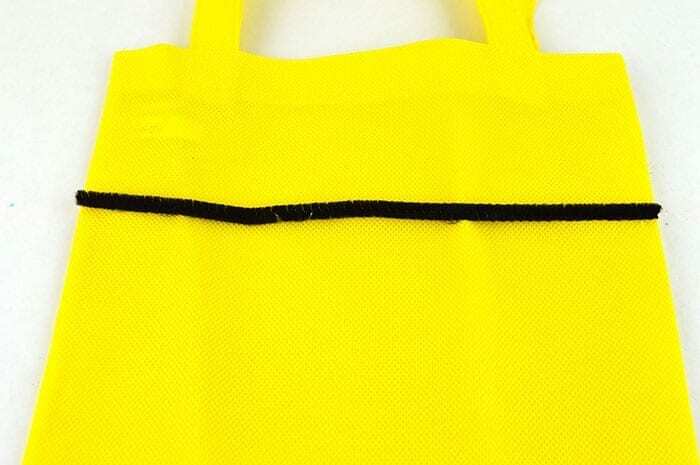 You can make each bag look different. 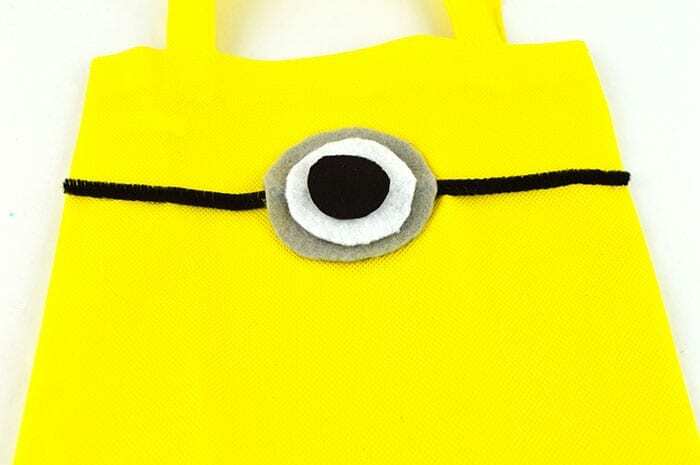 Add some purple hair to some, two eyes on others, and you will have your own group of minion bags in no time! 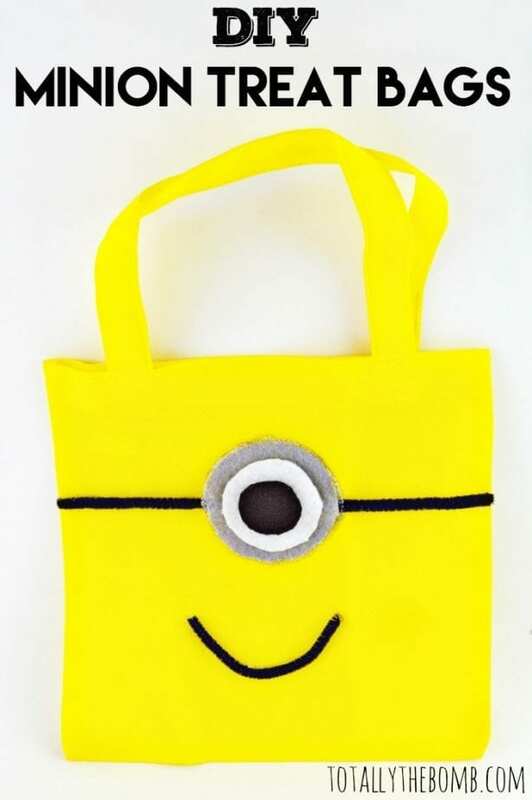 Looking for another fun craft idea using canvas bags? 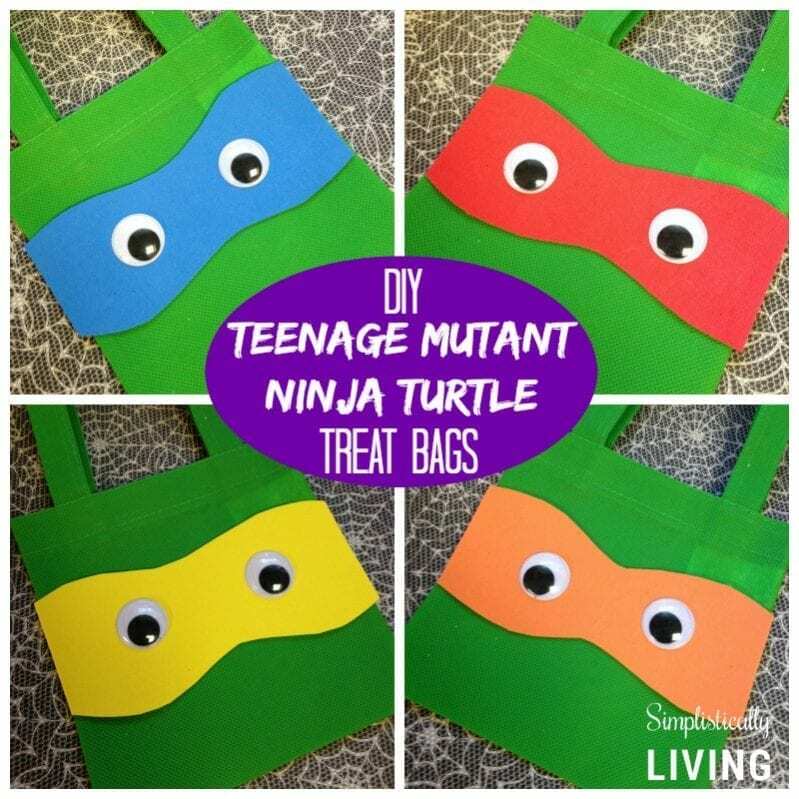 Check out these Teenage Mutant Ninja Turtle Treat Bags!